According to Investigating Officer, they are also awaiting report from Delhi Medical Council and have sent reminders for the same. NEW DELHI: Delhi Police on Monday filed a status report in a medical negligence case involving Max Hospital in Shalimar Bagh, wherein the hospital declared newborn twins dead even as one was found to be alive. In the status report, Investigating Officer mentions hospital attendant couldn't give a satisfactory reply and were evasive when asked under which circumstances the bodies were handed over to the family. Moreover, the report also states that the hospital register only mentions the time of birth of the twin infants and not the time of death. Earlier in December, the Max Hospital had declared a baby dead along with his still-born twin, however, he was found alive when he was being taken for cremation. 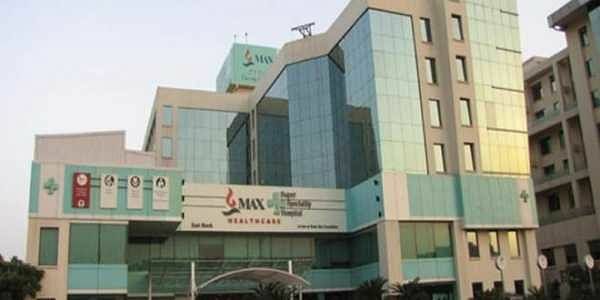 Following the incident, the Delhi Police sent a notice under sections 91 and 160 of the CrPC to the administration of Max Hospital, seeking detailed information in connection with the case and asked the authorities to be present for an interrogation. In this connection, the hospital authorities decided to terminate the services of two of its doctors, who were involved in wrongly declaring the newborn dead. On December 10, the state government also cancelled the licence of the hospital. The father of the children has accused the hospital of deliberately declaring the baby dead and trying to get rid of him after he told the authorities he would not be able to pay Rs 1 lakh per day for their treatment.